Mind-blowing magic at a highly secretive, by-invitation-only clubhouse makes entry to the Magic Castle a truly exceptional experience. 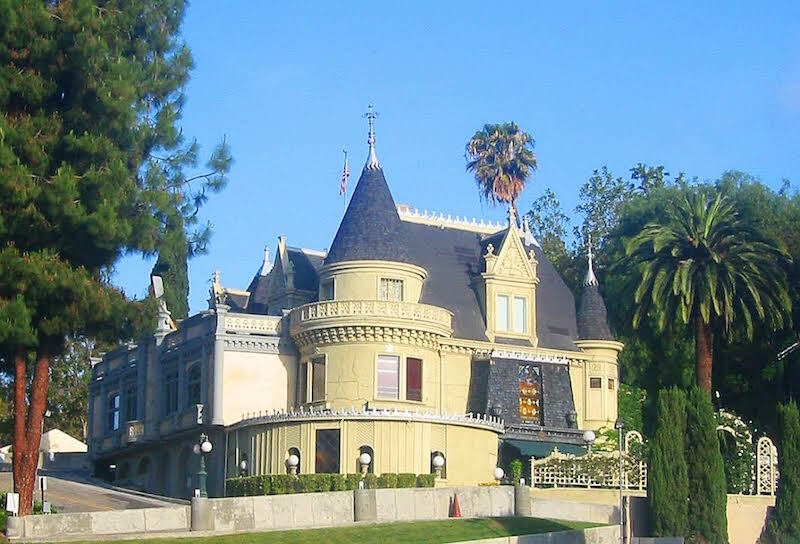 The Victorian clubhouse houses The Academy of Magical Arts, one of the world’s preeminent magical organizations, committed to the history and craft of magic and séance. The private club offers a host of mysterious experiences seen by few, as guests must be invited or accompanied by a member of the Magic Castle. Though it’s not only the exclusivity of this secret mansion that makes it unlike any other in the world, but also the pure level of talent perfection. It is the type of magic that you only see in films — nearly impossible to believe until you witness the acts in front of your eyes. I reached out to my Mentalist friend, Carl Christman, who frequently performs at the Magic Castle and has granted me access before. He connected me with Hypnotist and Mind Reader Allen Gittelson who secured special entry for 12 IVY Members to experience “the most unusual private club in the world” for themselves. In the lobby, we gathered around a mysterious wall, which — from the exterior — only appears to be an old bookcase. I whispered to one of member of our group to look deep into the eyes of the owl statue and recite, “Open Sesame.” Suddenly, the bookcase moved aside, granting us access to one of the most sought-after private clubs in the world. Once you’re in, the outside world almost disappears, and you are transported to a different era and into a secretive Victorian fortress. If you are lucky, you can catch roaming magicians at the main bar doing card tricks, or sleuthing in the corners performing sleight of hand. After a welcome cocktail, we headed down to the Hat and Hare magic theatre, which was completely private to IVY. Gittelson’s show did not disappoint. His gift lies in the idea of the secret language of hypnotism and influencing people. Gittelson began the show by asking seven members to recite either a number one through ten, or a letter A to Z. He then had an IVY Member pop a blown-up balloon and read from a note that fell to the ground out of the balloon — which all seven of the numbers and letters earlier recited. Round after round, members were in awe. For the final act, Gittelson asked a member to silently choose a number between one and 1,000. He then asked the audience, “Is anyone thinking of the number 104?” In shock, one IVY Member raised her hand and said, “I thought of 104…” Long before the show, Allen wrote a letter to this specific person,which contained the number she would guess, her hair color and length, and the colors she was wearing — describing each article down the smallest details. 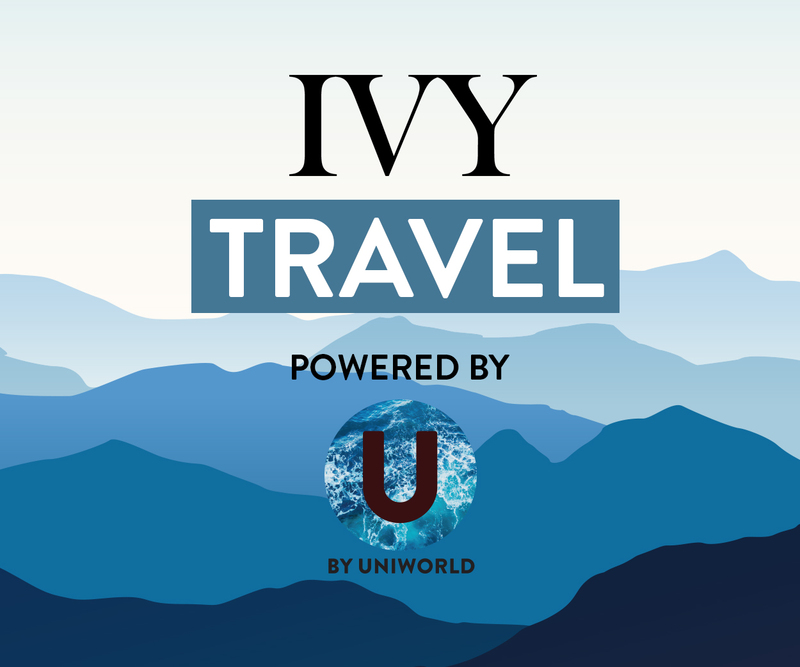 One IVY Member reacted by saying, “There is absolutely no way on earth that he could have known that in advance!” It made us feel as if, just maybe, this life is more magical than we may believe. This was just a taste of what was in store for us for the rest of the evening. Next, we headed to the Castle’s most intimate theatre, The Close-Up Gallery, to see John Steiner perform. 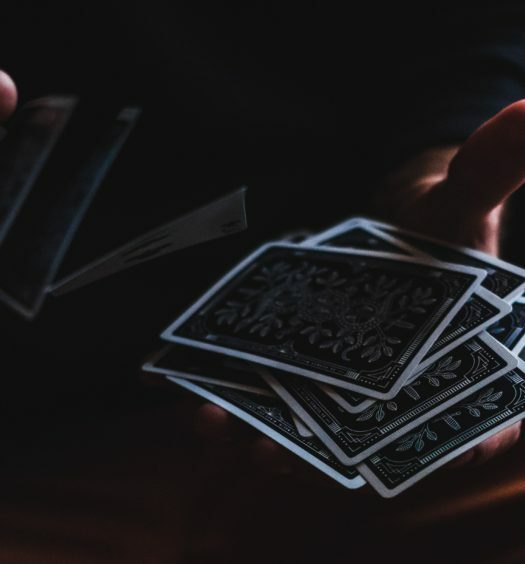 John says that “magic is an impossible new moment of having witnessed something that goes beyond your comprehension.” That is exactly what happened for IVY Member Matteo Berloffa-Spadafora, who he was brought on stage to witness the most remarkable sleight of hand right under his nose. The tricks left our group equal parts laughing, equal parts flustered as we tried to figure out just how the magic worked. After this incredible second show, we met with our designated Castle Knight, Carlo, for a private tour of the Castle. 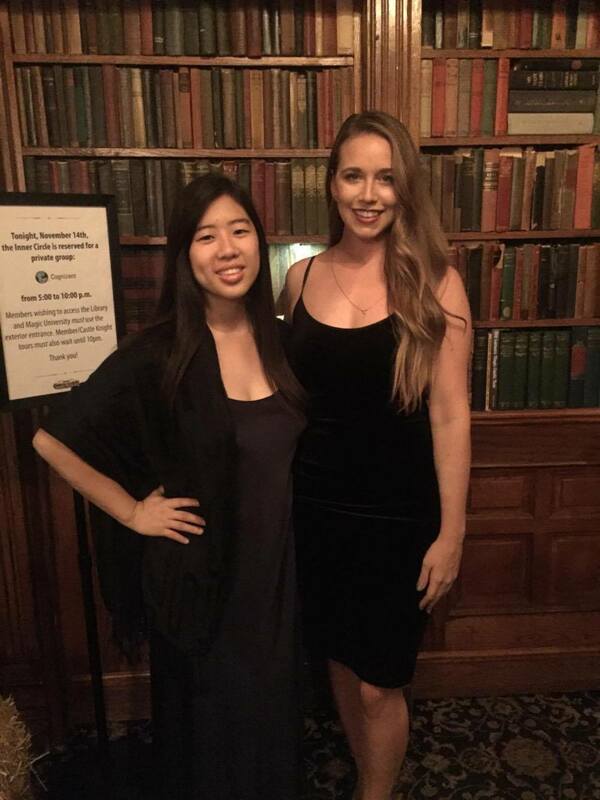 As if we hadn’t learned enough that evening — what is an IVY event without some sort of educational component? Carlo shared historical facts and showed us many hidden secrets planted throughout the Castle, guiding the group down hidden hallways and through secret rooms. The tour was a powerful way to end to the evening. After the tour, a handful of IVY Members even stayed for the late-night shows to see some more magic. 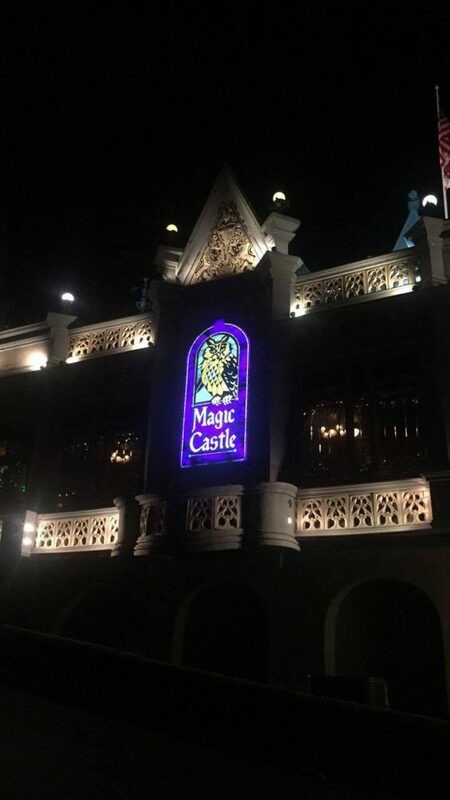 – Jason Kirsch: “For as long as I can remember, I’ve always wanted to visit the Magic Castle. Thanks to IVY, that dream recently came true.